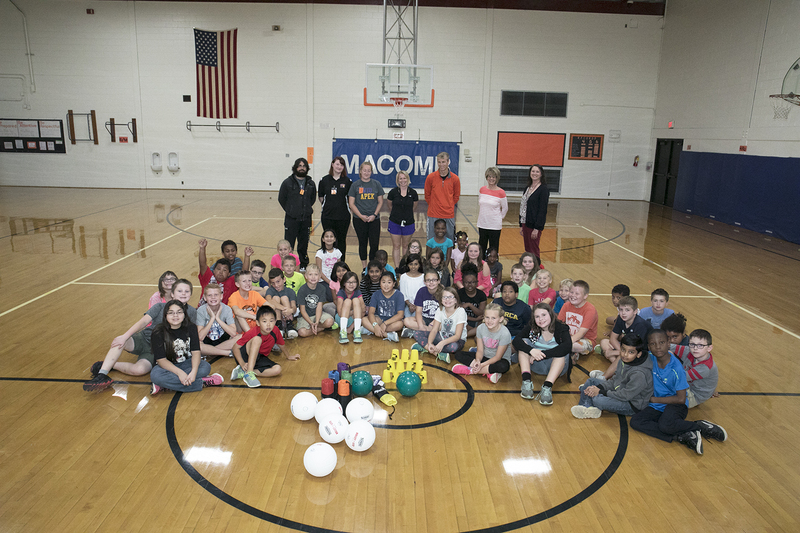 MACOMB, IL – A fundraising effort by the Western Illinois University student organization Association of Physical Education in Kinesiology (APEK) has resulted in the award of five equipment grants to the physical education programs at area schools. 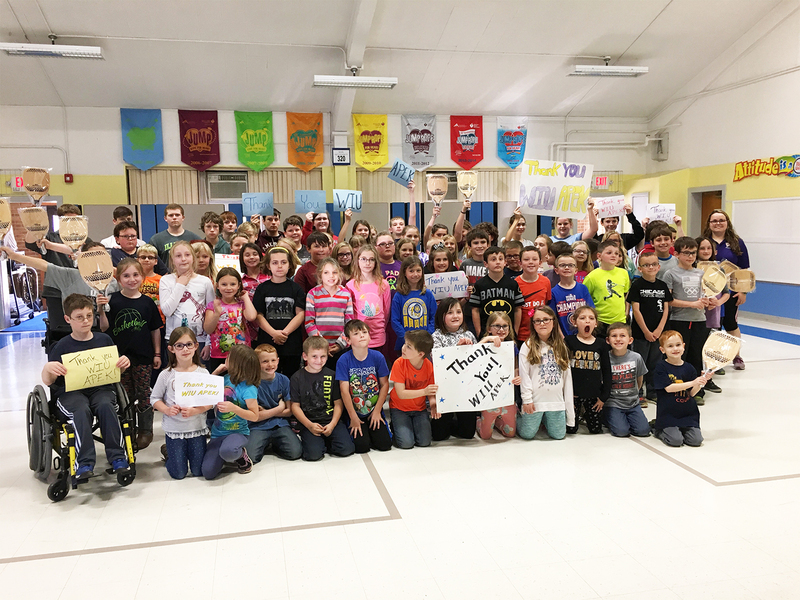 In recent weeks, equipment purchased through the student organization's fundraiser was delivered to Edison Elementary School in Macomb; West Prairie Middle School in Colchester and Trinity Lutheran Academy in Industry. 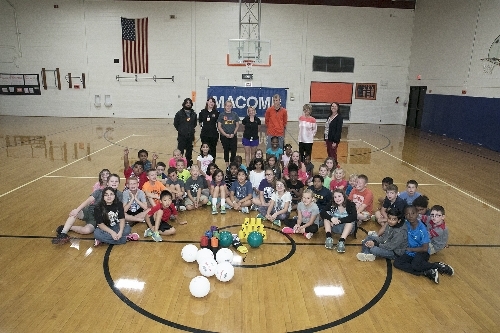 An award of new soccer balls for homeschool students' physical education class was given to the YMCA of McDonough County and the final grant went to So. Wilmington Grade School, where a current Physical Education Teacher Education (PETE) student attended school. The professional development project was started about two years ago and the money for the grant awards was raised by the organization's students during the Fall 2016 semester through a raffle. 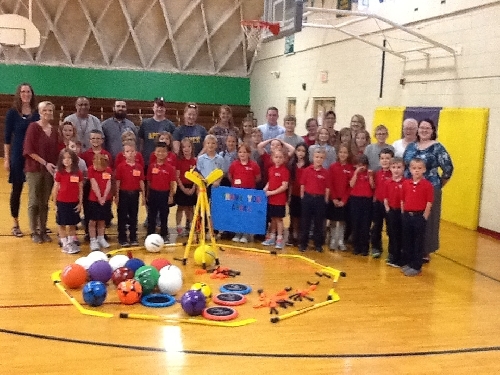 The idea for the fundraiser came when representatives from an area school asked in the WIU Department of Kinesiology if they had any used equipment they could have for their physical education classes. "They did not have a budget for equipment, and unfortunately, we could not donate equipment," said Kinesiology Instructor and APEK Advisor Kathi Clayton-Chaplain. "So the students decided to raise money for Illinois schools that did not have the resources to buy equipment." Students raised money to buy raffle prizes, including a 55-inch smart television, an iPad and gift cards. 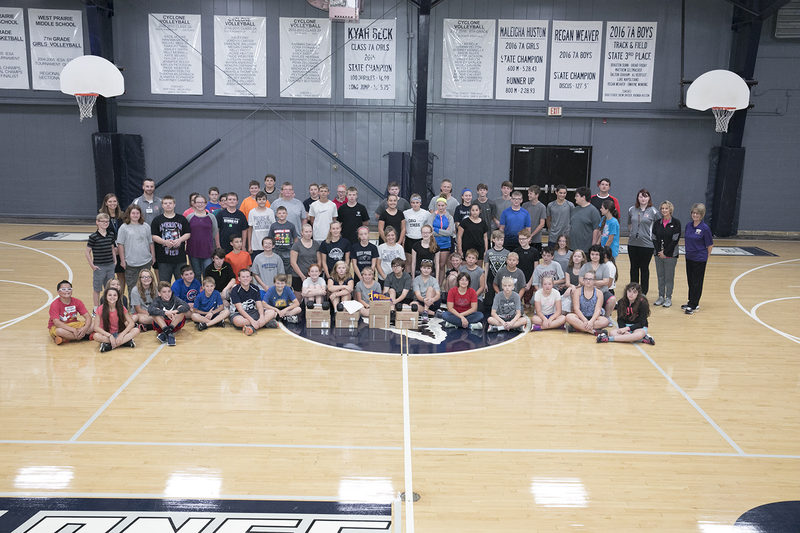 The raffle raised more than $2,200 when students sold tickets at the Illinois Association for Health, Physical Education and Dance (IAHPERD) conference and on campus last year. Clayton-Chaplain said the hope is that the program will be ongoing in an effort to help schools across the state that are struggling to replace physical education equipment because of budget difficulties. The program is also a way to respond to the opportunity area school districts provide WIU PETE students, who practice teach in the schools during their methods courses and field experience. "We have found that some of the schools have a tremendous supply of equipment, while at others, they have a limited supply or they just need updated equipment," said Clayton-Chaplain. For more information, contact Clayton-Chaplain at (309) 298-1225 or by email at K-Clayton@wiu.edu.